Gower Coast National Nature Reserve at Gower Coast Nature Reserve (NRW)0300 065 4648work Nature ReserveThis nature reserve has a lovely beach served by a good path from the car park. The tidal island of Worm's Head and the south-facing cliffs on the mainland that are home to some very special plants, birds and other wildlife. A visit to Gower Coast NNR has a lot to offer: the scenery is spectacular, there are interesting and unusual plants to see, the underlying geology is fascinating, and if you are a birdwatcher you will be visiting one of the top places in Wales to see seabirds, as well as other rarities such as Choughs and Dartford Warblers. 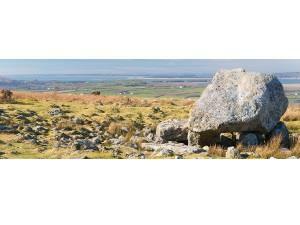 If you are interested in history and archaeology the area is well known for its remains of early settlements in Britain. Of the sea birds that nest at Gower Coast NNR, the most successful and numerous are the Kittiwakes, although many of their nesting sites can only be seen from the sea. The Rhossili car park has toilets, a visitor centre and a café. Rhosili Car Park (Western end of the NNR): From Swansea take the A4118 road towards Killay and Parkmill and continue through Nicholaston and Knelston. At Scurlage turn right onto the B4247 and continue, passing through Pilton Green and Middleton to Rhosili. The car park lies on the left-hand side of the road. Eastern End of the NNR: The reserve can also be entered from Mewslade Bay near the village of Pitton, which lies off the B4247 road between Pilton Green and Rhosili.